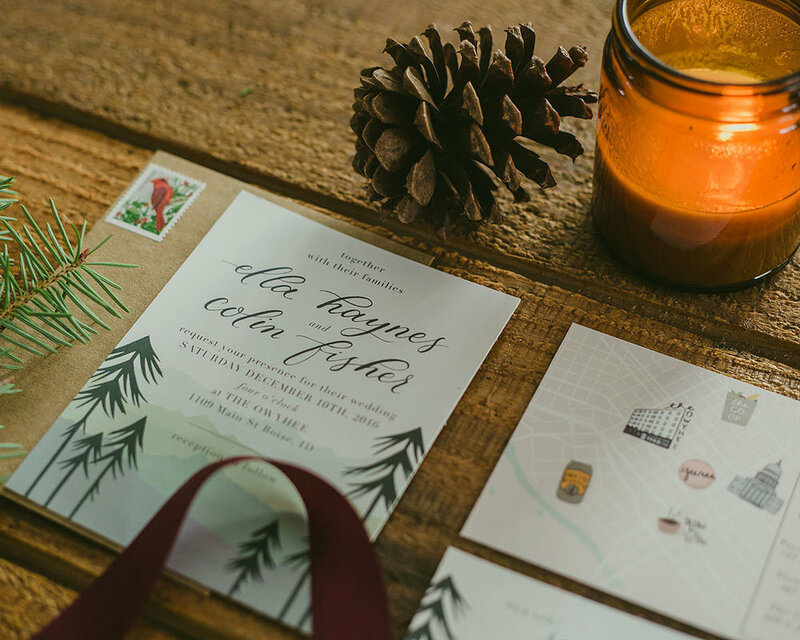 Back in December I had the opportunity to make up some mock-up wedding invites and stationery, for a styled shoot from some local photographers and wedding vendors. And I'm just now getting around to sharing the results and some of the images from the shoot with you! Such is the life of a busy freelancer, am I right?! 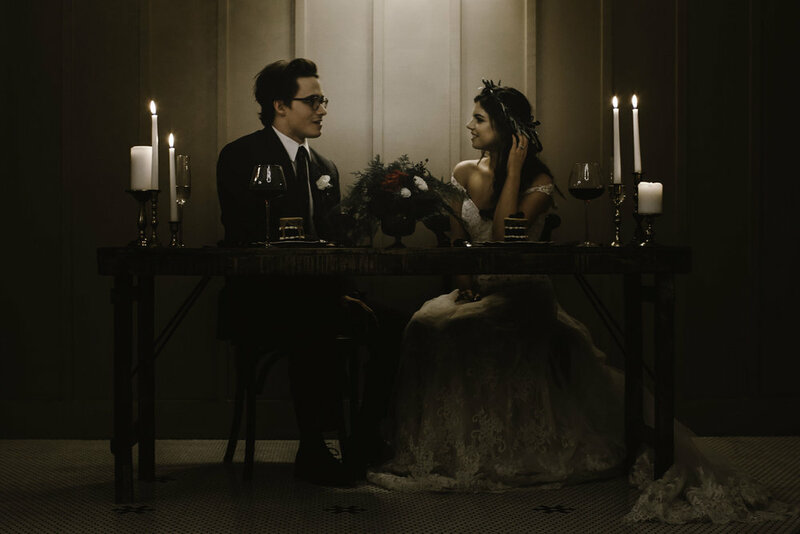 The shoot was to represent a Boise Winter wedding, with a bohemian flair. I had to include some of the other photos from the shoot, because damn, it was just so well done! 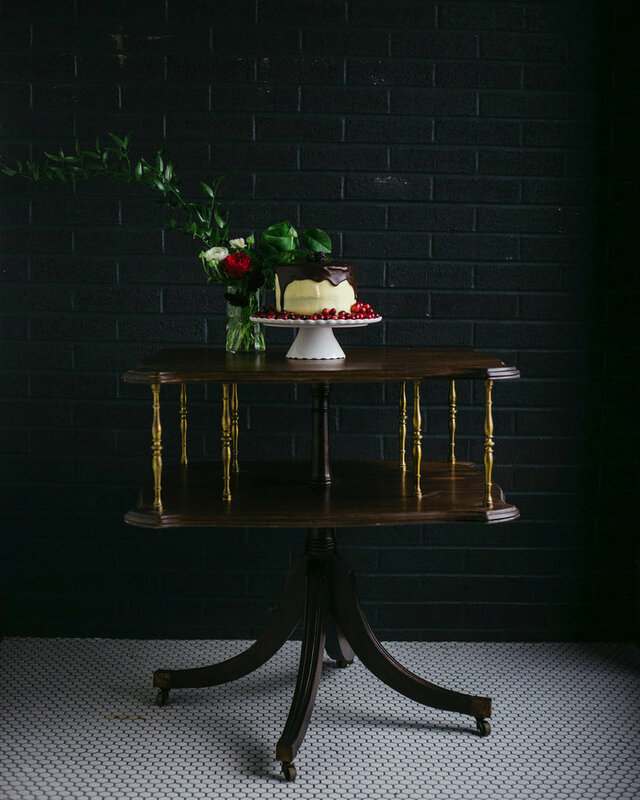 From the table styling, to the cakes, to the wardrobe, total swoon worthy perfection! Wedding stationery and custom wedding invitation packages are something I am considering adding to my online shop soon. For now, if you'd like to hire me to design custom invites, or for any other graphic design needs, go ahead and contact me!